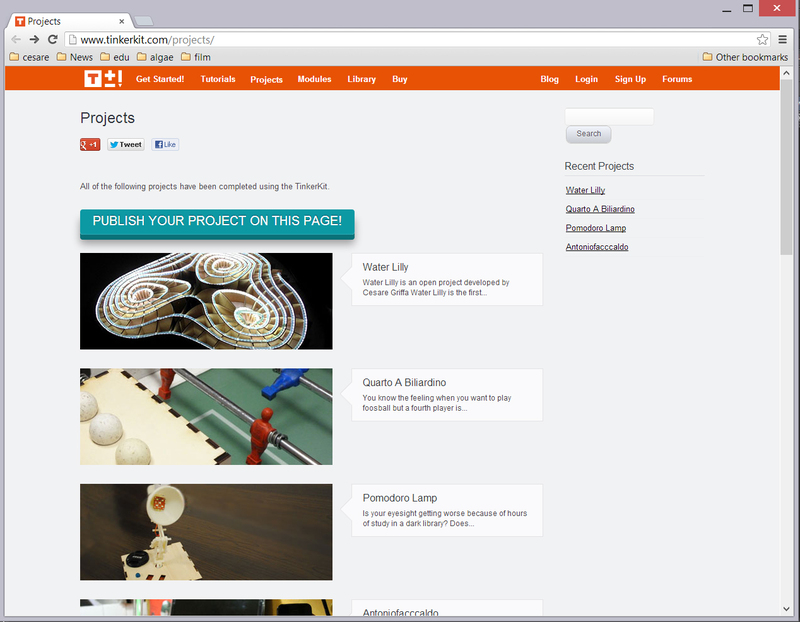 Waterlillly has been published in the Tinkerkit project page. WayerLilly is a social creature: when people come close to her, she gets emotional and increases the algae biomass through the augmentation of light and CO2 released in the bio-solution. The electronics that make that happen are based on an Arduino board, and sensors and components from the Tinkekit.